Make a statement with this sleek and creative pendant! 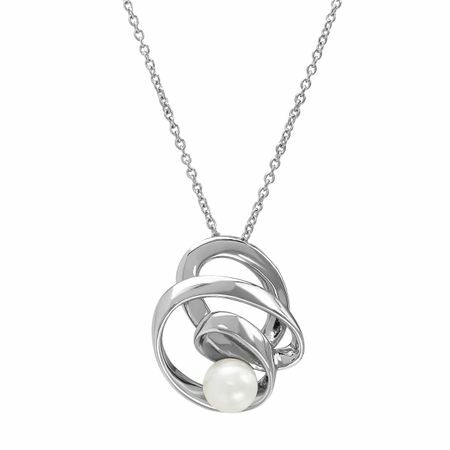 This tasteful sterling silver statement piece is full of smooth twists and turns of style, complete with an 8-8.5 mm white freshwater pearl sitting confidently upon its intricate sterling silver stage. Piece measures 1 1/8 by 15/16 inches. Comes with a sterling silver 16-inch cable chain, plus a 2-inch extender for adjustable length, and features a lobster clasp.